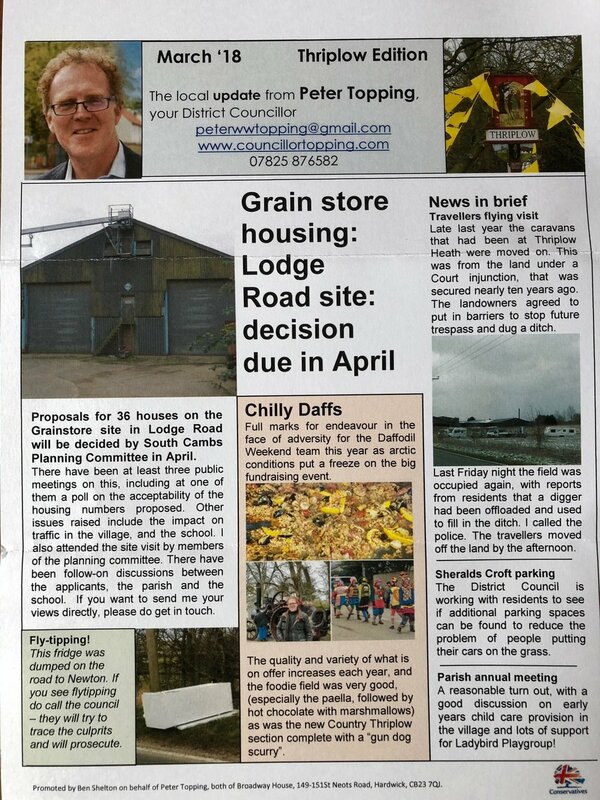 I spent yesterday morning delivering my Spring newsletter (click on the image to the right) to Thriplow village residents. It was a beautiful crisp morning with the village shop door open to catch the sun and the daffodils in bloom - leading to much discussion with people out and about and on the doorstep on the shared experience of the Daffodil Weekend this year in biting cold and snow. I was asked by several people about the Grainstore housing application (and the Dellers Farm one too in Middle Street) and it was very helpful to hear views, especially with regard to affordable housing. I was at the Annual parish meeting last week which was fairly lively, with people from Heathfield attending to ask about how we can get the concrete blocks removed from outside the old Iceni site without increasing the risk of trespassing as the place is empty, to a good discussion on early years provision in Thriplow and a lot of support for the work of Ladybirds nursery group. Groovy 70s style ceiling flowers in the village hall, front cover of Annual Parish report, a welcome sight in the Green Man after the meeting was over!